featuring photography of insects, spiders, arthropods and other macro subjects. 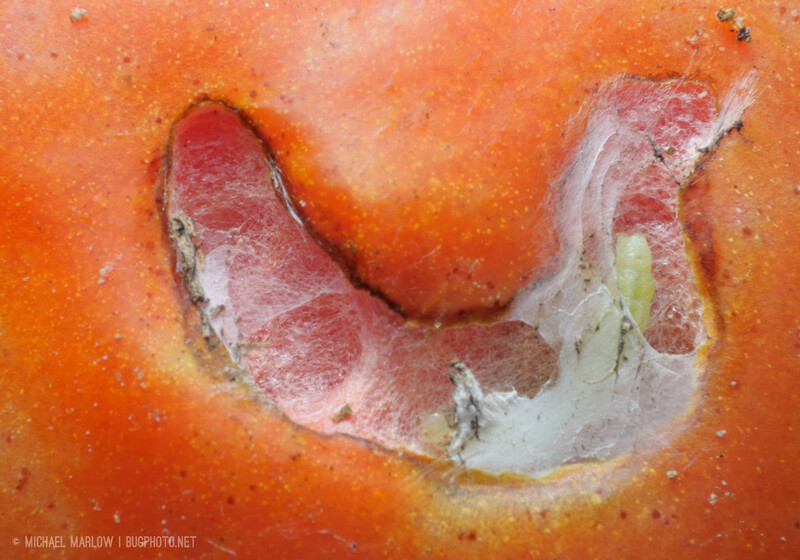 An unidentified caterpillar burrows into the surface of a tomato. 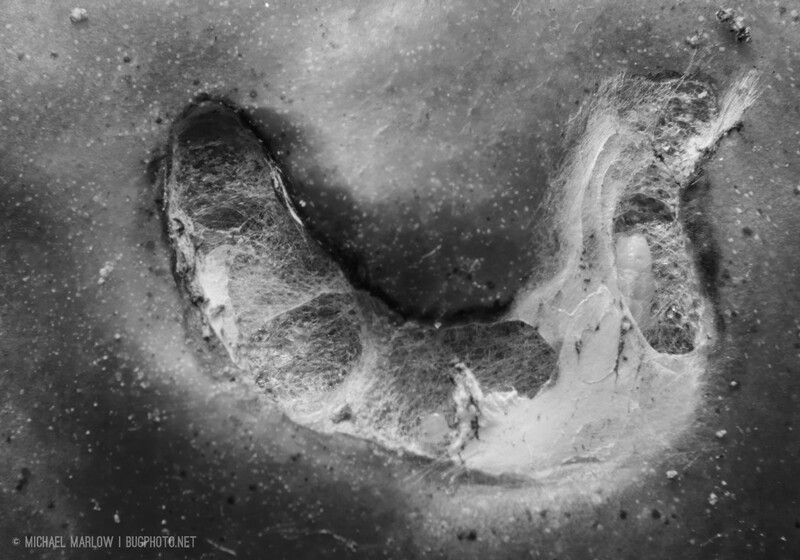 Posted in MothsTagged black and white photography, burrow, caterpillar, insect photography, Macro Photography, macrophotography, monochrome, tomatoBookmark the permalink. All content including photographs and text Copyright © 2018 Michael Marlow. All Rights Reserved. Share on social media (for non-commercial purposes), but please provide credit and link back. For other uses and licenses, contact me for permission.